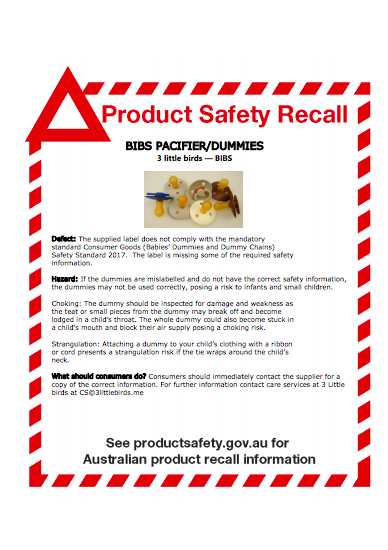 The packaging for 3 Little Birds – BIBS dummies does not comply with Australian mandatory safety standards, the Australian Competition and Consumer Commission (ACCC) says on their website. The dummy label is missing some of the required safety information, which warns parents about possible safety hazards. “If the dummies are mislabelled and do not have the correct safety information, the dummies may not be used correctly, posing a risk to infants and small children,” the ACCC explains. Part of the dummy could break off and become a choking hazard. Additionally, a cord or ribbon, when attached to the product, could increase the risk of strangulation. “The dummy should be inspected for damage and weakness as the teat or small pieces from the dummy may break off and become lodged in a child’s throat. 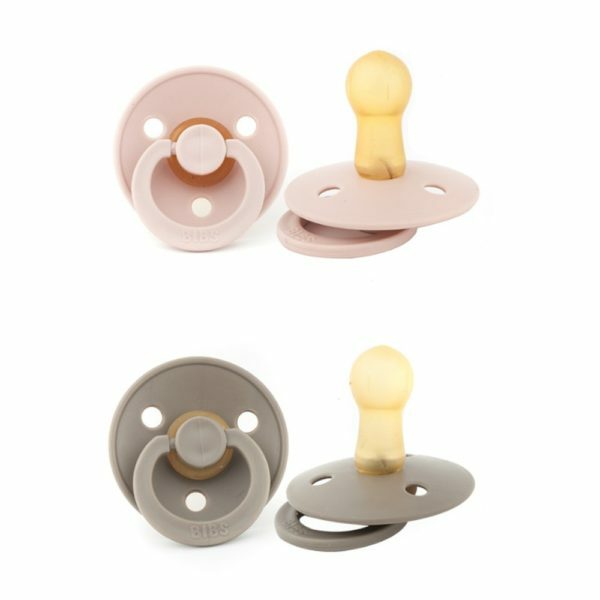 The whole dummy could also become stuck in a child’s mouth and block their air supply posing a choking risk,” says the ACCC. Where and when were 3 Little Birds – BIBS dummies sold? BIBS dummies, which are available in white, grey, blue and brown, were sold nationally between 1 May 2018 – 22 December 2018. What should parents do if they have they 3 Little Birds – BIBS Dummies at home?